Workers leaving the North American Aviation plant in Downey, September 1950. Digitally reproduced by the USC Digital Library; from the California Historical Society collection at the University of Southern California. 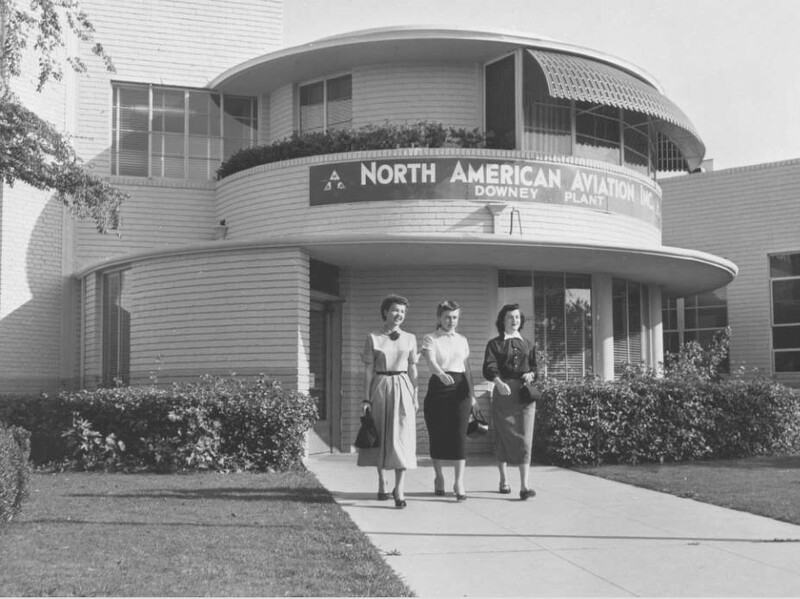 DOWNEY — Author and historian Larry Latimer will give a presentation on Downey’s aviation and aerospace history this Thursday, Feb. 28, starting at 7:30 p.m. at the Barbara J. Riley Center. The program is part of a monthly meeting hosted by the Downey Historical Society. Latimer is author of “Images of America: Downey”, published by Arcadia Publishing in 2010. He is also a frequent speaker on early Downey history.